CuAIO D22 Kit has become the most lightweight starter kits. It masterfully combines a 1500mAh battery with a special 2ml or 3.5ml atomizer in a single adorable vape kit. It has a flip-to-open system with an adaptable upper airflow control. One best thing concerning this kit is its childlock system. With this attribute, the airflow needs to be shut initially before you open up the cap to fill up. This tends to make the refilling procedure simple and secure. 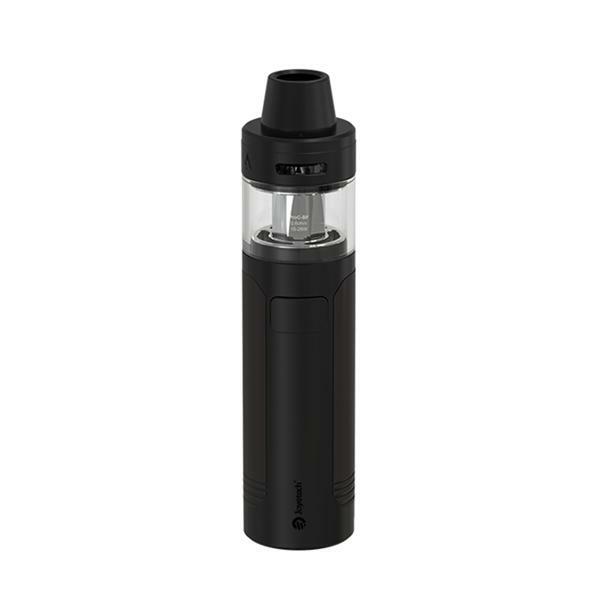 The CuAIO includes a unique ProC-BF series coil that provides pure taste together with a smooth cloud for fascinating vapers. Below are some more features of the product. Super easy e-liquid Filler: It incorporates a straightforward and hassle-free liquid filling structure. All you need to do is open up the cap, put in the e-liquid at the sides instantly and you’re all set. ProC-BF Head: It is made of genuine cotton for vapers. It generates nice and light flavored vapors and works with Elitar Pipe, eGoAIO Series, eVic AIO, and CUBIS Series. Child Lock Safety: This function makes it very safe to make use of specially when you’ve children around. The atomizer was made with double child lock structure. To apply, you should move the airflow cap to seal the air inlet prior to pushing and pulling the top cap.